Paul and Tomoe decided to open two houses to pursue their passion for introducing Japanese culture and Bujinkan arts. Now we have four options. ⇒ Two rooms available with Beautiful garden. All classes are held here. 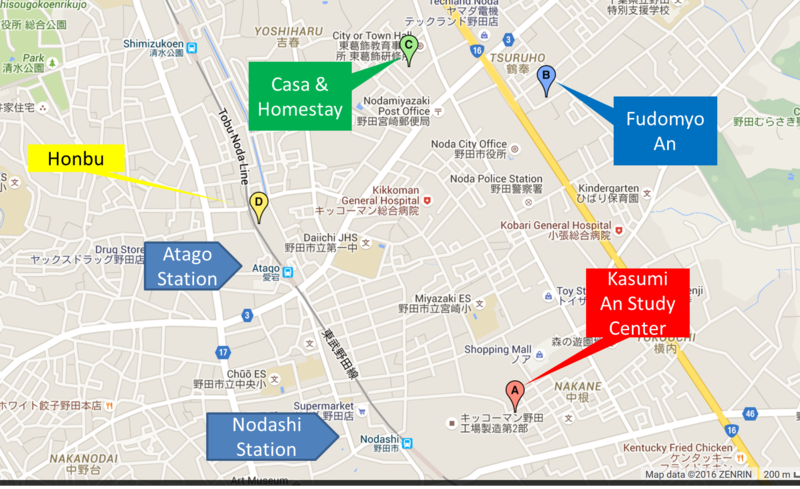 ⇒ Five rooms available in quiet area. 10 minutes bicycle ride to Honbu. ⇒ If you want to experience the Japanese culture with Japanese family, homestay option is definitely your best choice! 5 minutes bicycle ride to Honbu. ⇒ This is a Dormitory style. Share an entire house with other bujinkan guests. Suitable for budget traveler!